Blue Team, Pink Team. 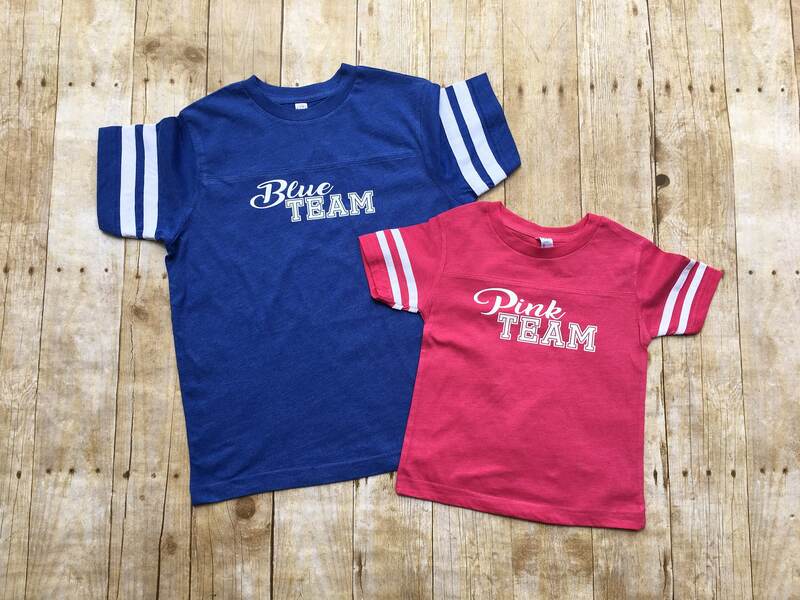 6mo - 3XL Team pink Team Blue Gender reveal shirts. Sibling shirts. Gender reveal ideas. Gender reveal party. Blue Team, Pink Team. 6mo one-piece to Adult 3XL Team pink Team Blue Gender reveal shirts. Sibling shirts. Gender reveal ideas. Gender reveal party. 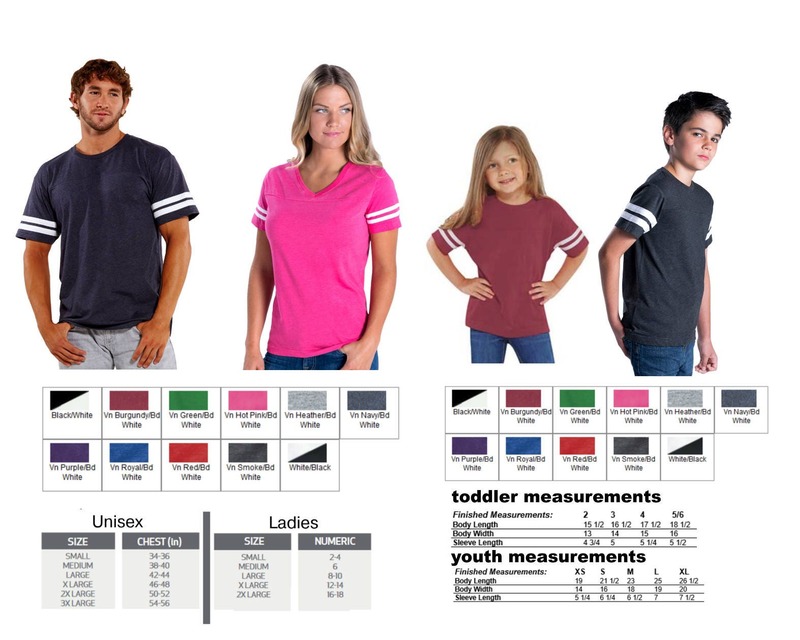 Clothing brand: LAT Apparel: Runs true to size, please see additional photos for sizing chart. Infant sizes are available in bodysuits only. 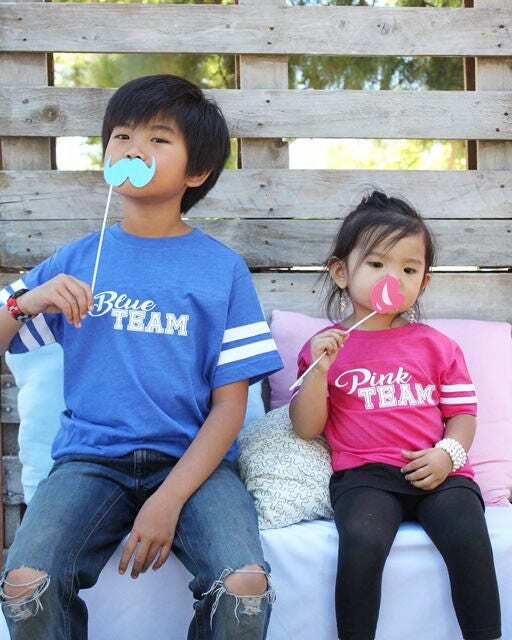 Blue team, Pink team design © LullaBaby wear & gifts. Loved the fit and quality of our shirts! The entire family felt comfy and cute!